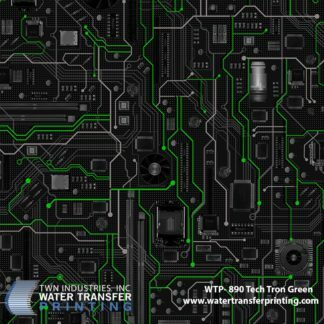 PRINCETON, FL – August 28, 2016 – TWN Industries Inc., the leading Water Transfer Printing supplier, releases Tech-Tron, a new circuit board designer print. Inspired by modern circuit board designs, it looks great on computer cases, gaming consoles and gamepads. 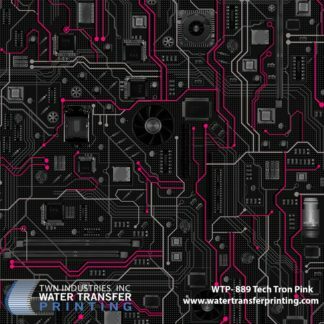 This pattern is highly detailed and has a large repeat area, making it not only unique, buy the best circuit board pattern available for the water transfer printing process. The Tech-Tron pattern is available in two different color motifs, Green and Pink. 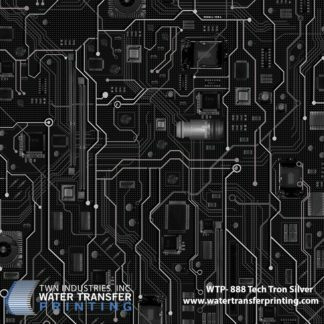 The Tech-Tron water transfer printing film pattern is available exclusively through TWN Industries, Inc. Three-meter accessory packs are available immediately. Place your production roll orders today. 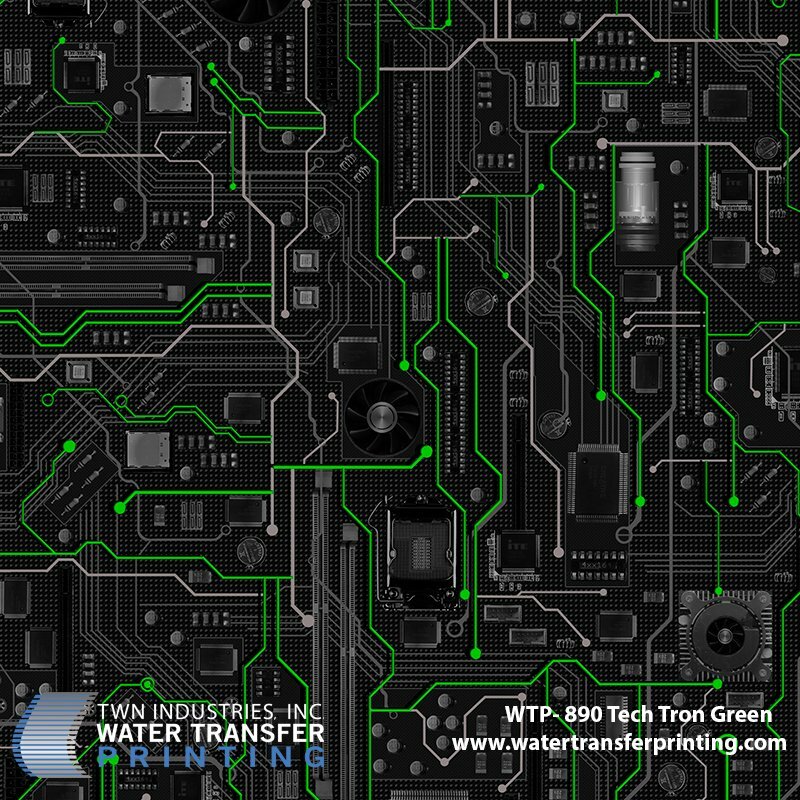 The part number for Tech-Tron Green is WTP-890 and Tech-Tron Pink is WTP-889. To find a TWN Certified Decorator who can decorate products for you, or to purchase film, call 305-258-9622.